Recent lawsuits against Johnson & Johnson for failing to warn consumers of a link between its talc-based products and the development of several cancers— most specifically ovarian cancer— have brought a new awareness to product safety and the failure of mega corporations to warn people of the risks associated with certain products. The Chicago talcum powder attorneys of Rosenfeld Injury Lawyers LLC are inviting all women who have used talcum based products and developed cancer to come forward to determine whether they may be entitled to compensation. The following history about these products will help you understand how and why your rights have been violated and what you can do to find justice. What many women have not known for decades is that talcum powder products such as baby powder and Shower to Shower are produced using a mineral that bears many similarities to asbestos. Talc is a soft mineral that is often mined in areas where asbestos may also be present and some of these products have even been contaminated with asbestos over history. Regardless of its purity, however, talc can have the same long term impact on the human body that asbestos does. This is why there has been established links between talcum powders and lung and ovarian cancers. The first evidence of this link surfaced in 1982 when a Harvard doctor performed a study that revealed a concerning link between all talc based products and the development of certain cancers. Dr. Cramer saw such a clear link between the two that he published the study and strongly advised Johnson & Johnson to remove all of their talc-based products from the shelves. 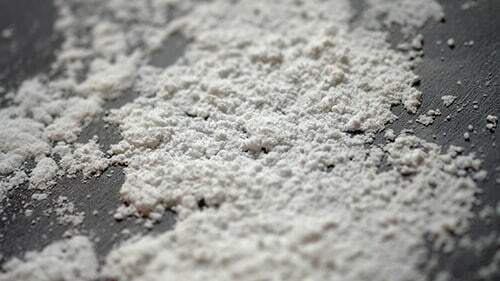 Despite this warning, talc has been used in beauty and hygienic products ranging from baby powder and deodorants to makeup products and skin creams. Talcum powder works extremely well as an anti-caking agent and to absorb moisture, which would explain why it is used in so many products marketed to handle perspiration and moisture control. However, just as inhalation of asbestos fibers over many years can lead to the development of disorders such as asbestosis and mesothelioma, so can the application of talc-based products to the genital area lead to ovarian cancer. Following a recent verdict against Johnson & Johnson for $72 million in damages, the company doubled down on its assertion that its products are safe. Its claim that the verdict goes “against decades of sound science” could not be more erroneous, however, and only serves to prove that large corporations are perfectly willing to bend and distort the truth in order to continue pulling profits. There had been over 20 new studies since Cramer’s which had supported his claim that talcum powder products significantly increased the risk of cancer. Following one of these studies, the Cancer Prevention Coalition wrote a letter to Johnson & Johnson in 1994, suggesting as Cramer had that the products should be taken off of shelves. Evidence even surfaced that an internal memo written by a Johnson & Johnson medical consultant say explicitly, “anybody who denies the risk between using hygienic talc and ovarian cancer is denying the obvious in the face of all evidence to the contrary.” This memo was written in 1997— nearly twenty years ago. Despite all evidence linking talc to the development of cancer, Johnson & Johnson continued to market these products while continuing to assure the public that they were safe. The company knew full well that placing a warning on the products may reduce sales and chose instead to conceal the danger from millions of women every year. Two recent lawsuits against Johnson & Johnson have given women everywhere the confidence they need to defend their rights. The judgments previously mentioned were in the favor of a woman whose ovarian cancer occurred after decades of using Johnson & Johnson talc-based products and the family of a woman who died from the disease after being a Johnson & Johnson customer for nearly 50 years. Dozens of additional lawsuits are currently in progress and more women are coming forward with claims. Rosenfeld Injury Lawyers LLC is one of the leading award-winning personal injury law firms in Chicago. We have a legal team dedicated to investigating claims by women who have suffered injuries after using Johnson & Johnson’s baby powder and Shower to Shower products. If you developed ovarian cancer after using these products, we would like the opportunity to represent your legal rights and interests. Contact us today to arrange a risk free consultation with one of our highly qualified Chicago talcum powder injury lawyers. We will gather all of the information we need to investigate your claim and answer all of your questions concerning your legal rights and options. Since we work only on a contingency fee basis, you are assured that if we are unable to secure compensation on your behalf, our services will be free of charge. For information on the latest developments in talcum powder litigation review our FAQ page here.